We have compiled a few research studies of Holistic/Integrative Health approaches that are being more commonly used and can be readily incorporated into Occupational Therapy practice for health, wellness, prevention, recovery and the journey of life. We found thousands on Holistic/Integrative Health. There are a few in the American Journal of Occupational Therapy (AJOT) and we hope to see more! 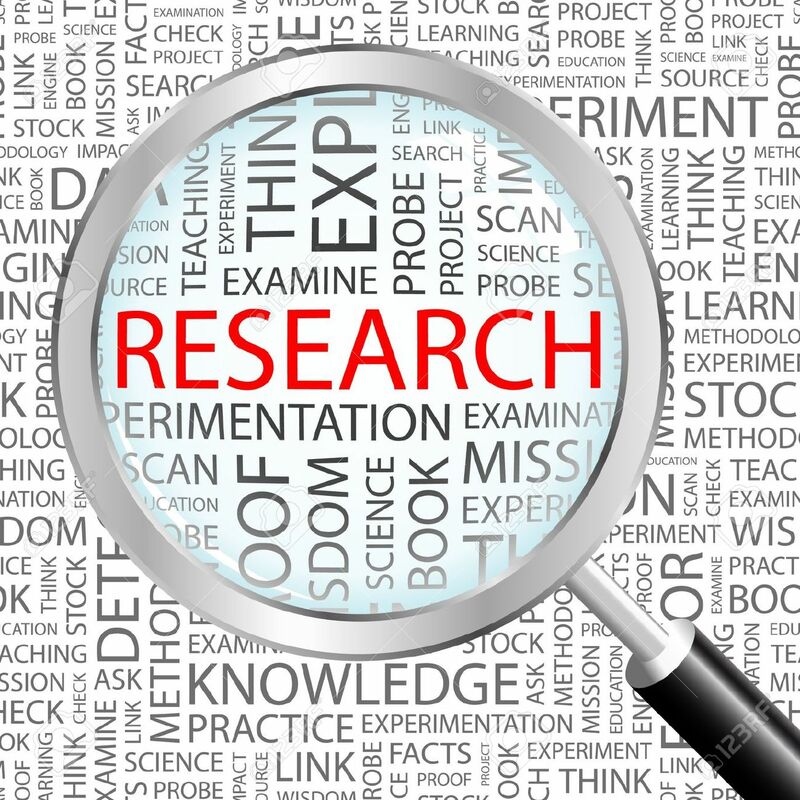 The research section below can also assist you with resources for your own searches. The following are annotated bibliographies of a few studies that demonstrate how these approaches can be effective in OT practice. AJOT articles are listed first in each section. 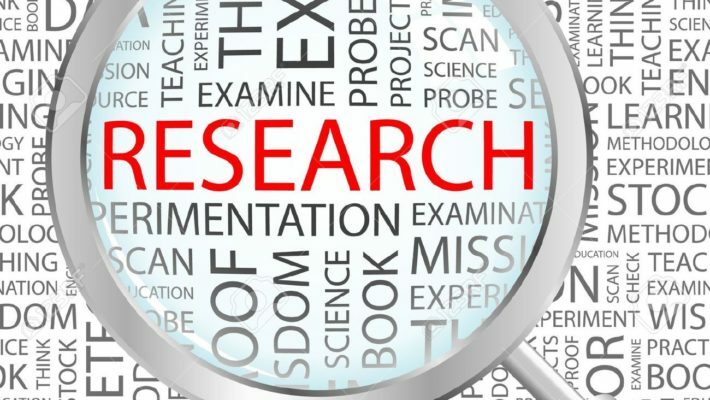 If you know of research studies you would like included here, please email them to Emmy Vadnais, OTR/L at emmy@emmyvadnais.com. 1. Robinson, N., Lorenc, A., and Liao, X. (2011). The Evidence for Shiatsu: A systematic Review of Shiatsu and Acupressure. BMC Complent Alt Med, 11:88. This article notes that evidence is improving in quality, quantity and reporting but is lacking in regards to Shiatsu. Acupressure is reported to possibly benefit pain, nausea/vomiting, and sleep. 2. Carotenuto M, Gallai B, Parisi L, Roccella M, Esposito M. (2013). Acupressure therapy for insomnia in adolescents: a polysomnographic study. Neuropsychiatr Dis Treat, 9:157-62. This study assessed the efficacy of acupressure therapy in adolescents with insomnia. At the end of 6 months, results showed that acupressure is a safe, non-invasive and effective method with no adverse effects and good compliance. At the end of 6 months of treatment, there was a significant increase in all macrostructural parameters of sleep duration, and a reduction in sleep onset latency, wake after sleep onset, and stage 2 sleep. Moreover, the study group showed a significant increase in percent sleep efficiency and in slow wave sleep representation. This study investigated if a qigong massage intervention performed by a Chinese medicine doctor that were beneficial would produce similar results with trained professionals administering the qigong massage. Both groups improved sensory impairment and adaptive behavior. The intervention and training program are described. This study found that acupressure may manage pain, lowering dyspnea, fatigue, nausea, and enhancing participation in meaningful activity through acupressure, reflexology, and shiatsu. This systematic review of evidence for the efficacy of environment-based interventions interventions on the affect, behavior, and performance of people with Alzheimer’s disease and related dementias was conducted as part of the American Occupational Therapy Association’s Evidence-Based Literature Review Project. Thirty-three reports met inclusion criteria. Results suggest that ambient music, aromatherapy, and Snoezelen® are modestly effective in reducing agitation but do not consistently have long-term effects. 2. Cha JH, Lee SH, Yoo YS. (2010). Effects of aromatherapy on changes in the autonomic nervous system, aortic pulse wave velocity and aortic augmentation index in patients with essential hypertension. Journal of Korean Academy of Nursing. (2010) 40(5):705-13. doi: 10.4040/jkan.2010.40.5.705. This study demonstrates that Aromatherapy is effective in lowering systolic blood pressure and sympathetic nervous system activity. 3. Elwood, J. (2001) Aromatherapy and Autism: A Case Study. International Therapist, March, (14-15). Elwood incorporated hand and foot massage for these children, and found that use of lavender oil made the children appear more settled. She also noticed that the gentle, non-threatening massage helped in reducing the tactile defensiveness of these children, and built their trust in adults. This then led to development of better communication skills. One of the benefits that she mentions is the development of turn-taking skills, where each child started waiting for their turn for massage without any complaints. Moss, M. & Oliver, L. (2012). Plasma 1,8-cineole Correlates with Cognitive Performance Following Exposure to Rosemary Essential Oil Aroma. (2012). Therapeutic Advances in Pharmacology, Jun; 3(3):103-13. doi: 10.1177/2045125312436573. This study was designed to assess the potential pharmacological relationships between absorbed 1.8 cineole following exposure to rosemary aroma, cognitive performance and mood. Performance on cognitive tasks is significantly related to concentration of absorbed 1,8 cineole following exposure to rosemary aroma, with improved performance at higher concentrations. 1. Krishna, K.P.R. (2011) The efficacy of Ayurvedic treatment for rheumatoid arthritis: Cross-sectional experiential profile of a longitudinal study. International Journal of Ayurveda Research, 2(1), 8-13. This study looks at the efficacy of Ayurveda and its use in treating rheumatoid arthritis (RA). Findings indicate Ayurveda was effective in treating patients with RA. For those patients with severe functional limitation, significant improvement was shown in all parameters from admission to discharge. 1. Matarán-Peñarrocha, GA, et. al. (2011). Influence of Craniosacral Therapy on Anxiety, Depression and Quality of Life in Patients with Fibromyalgia. Evidence-Based Complementary and Alternative Medicine. Volume 2011, Article ID 178769, 9 pages doi:10.1093/ecam/nep125. This study on craniosacral therapy shows that CST improved symptoms of anxiety and depression, perception of pain and fatigue, quality of sleep, and physical functioning in these patients with Fibromyalgia. The authors conducted a 25 week experimental, double-blind longitudinal clinical trial to measure the effects of craniosacral therapy versus simulated treatment with a disconnected ultrasound on depression, anxiety and quality of life in fibromyalgia patients with painful symptoms. 2. Raviv, G., et al., (2009), Effect of craniosacral therapy on lower urinary tract signs and symptoms in multiple sclerosis. Complementary Therapies in Clinical Practice. 15, 72-75. This study examined the effect of craniosacral therapy on lower urinary tract symptoms of people with multiple sclerosis. This therapy proved to be effective and safe in treating lower urinary tract symptoms and improving quality of life in people with multiple sclerosis. 3. Complementary and Alternative Medicine. Volume 2011, Article ID 178769, 9 pages doi:10.1093/ecam/nep125. This study evaluated the effect of CST on children living with physical disabilities. Parents reported some improvement in all areas of daily functioning and their child’s symptoms. CST also helped in controlling or minimizing symptoms and decreasing overall family stress. 1. Bougea A. M., et. al. (2013) Effect of the emotional freedom technique on perceived stress, quality of life, and cortisol salivary levels in tension-type headache sufferers: a randomized controlled trial. Explore (NY, 9(2):91-9. doi: 10.1016/j.explore.2012.12.005. This study on Emotional Freedom Technique (EFT) demonstrates that participants with tension headaches receiving the intervention had significantly decreased frequency and intensity of the headache episodes and lowered perceived stress levels and improved lifestyle factors. 2. Church, D., & Brooks, A. J. (2010). The effect of a brief EFT (Emotional Freedom Techniques) self-intervention on anxiety, depression, pain and cravings in healthcare workers. Integrative Medicine: A Clinician’s Journal, Oct/Nov, 40-44. This study examined whether self-intervention with Emotional Freedom Techniques (EFT) had an effect on healthcare workers’ psychological distress symptoms. Results showed that EFT provided an immediate effect on psychological distress, pain, and cravings that was replicated across multiple conferences and healthcare provider samples. This randomized, single-blind, crossover trial tested whether participants who used Emotional Freedom Techniques (EFT) maintained reduced food cravings after 12-months. Results demonstrated significant improvements in weight, body mass index, food cravings, subjective power of food, craving restraint, and psychological coping for EFT participants from pretest to 12 months. 1. Jain, S., et al. (2012). Healing Touch with guided imagery for PTSD in returning active duty military: a randomized controlled trial. Military Medicine, 177(9): 1015-1021. The authors conducted a randomized controlled trial to determine whether Healing Touch with Guided Imagery reduced PTSD symptoms as compared to traditional therapy. Participation in Healing Touch with Guided Imagery resulted in a clinically significant reduction in PTSD and related symptoms in a returning, combat-exposed active duty military population. 2. Abbott R., & Lavretsky H. (2013) Tai Chi and Qigong for the treatment and prevention of mental disorders. Psychiatric Clinics of North America, 36(1):109-19. doi: 10.1016/j.psc.2013.01.011. Evidence is promising that t’ai chi and qigong may be effective in reducing depressive symptoms, stress, anxiety, and mood disturbances. This systematic review examines 66 clinical studies with a variety of biofield therapies in different patient populations. Studies overall are of medium quality, and generally meet minimum standards for validity of inferences. Biofield therapies show strong evidence fo reducing pain intensity in pain populations, and moderate evidence for reducing pain intensity hospitalized and cancer populations. There is moderate evidence for decreasing negative behavioral symptoms in dementia and moderate evidence for decreasing anxiety for hospitalized populations. There is equivocal evidence for biofield therapies’ effects on fatigue and quality of life for cancer patients, as well as for comprehensive pain outcomes and affect in pain patients, and for decreasing anxiety in cardiovascular patients. 1. Page, S., Levine, P., Sisto, S., Johnston, M.V. (2001). A randomized efficacy and feasibility study of imagery in acute stroke. Clinical Rehabilitation, 15 no. 3, 233-240. This study concluded that guided imagery can assist with motor deficits from a stroke, and is a clinically feasible, cost-effective form of therapy that may improve outcomes more than participation in movement therapy only. 2. Gonzales, et al. (2010). Effects of guided imagery on postoperative outcomes in patients undergoing same-day surgical procedures: a randomized, single-blind study. AANA Journal, 78(3): 181-188. This study evaluated the effects of guided imagery on postoperative outcomes in patients undergoing same-day head or neck procedures. Results indicated that guided imagery can significantly reduce preoperative anxiety, leading to less postoperative pain and faster discharge times. 4. Guttman, A., et al. (2012). Motor imagery practice for improving sit to stand and reaching to grasp in individuals with poststroke hemiparesis. Top Stroke Rehabiliation, 19(4): 306-319. The authors used a crossover intervention to evaluate the effect of motor imagery practice on the performance of sit to stand and reaching to grasp in participants with post stroke chronic hemiparesis. Results indicated that in individuals with chronic hemiparesis, the imagery practice of meaningful motor tasks can positively affect real performance. Twenty patients with burn injuries were randomly assigned to a massage therapy or a standard treatment control group during the remodeling phase of wound healing. The massage therapy group reported reduced itching, pain, and anxiety and improved mood immediately after the first and last therapy sessions, and their ratings on these measures improved from the first day to the last day of the study. 1. Sequeira S., & Ahmed, M. (2012). Meditation as a Potential Therapy for Autism: A Review. Hindawi Publishing Corporation Autism Research and Treatment Volume, Article ID 835847, 11 pages. This study looks at meditation with children with autism and concluded that meditation can effectively strengthen self-control and character development simultaneously. These authors believe that mantra meditation would be useful with young children. 2. Astin, J.A., (1997). Stress Reduction through Mindfulness Meditation. Psychotherapy and Psychosomatics, 66: 97–106 (DOI: 10.1159/000289116). The authors examined the effects of an 8-week stress reduction program using mindfulness meditation. The techniques of mindfulness meditation, with their emphasis on developing detached observation and awareness of the contents of consciousness, may represent a powerful cognitive behavioral coping strategy for transforming the ways in which we respond to life events. They may also have potential for relapse prevention in affective disorders. 3. Jacobs G. D., Rosenberg P. A., Friedman R., Matheson J., Peavy G. M., Domar A. D., Benson H. (1993). Multifactor behavioral treatment of chronic sleep-onset insomnia using stimulus control and the relaxation response. A preliminary study. Behav Modif, Oct;17(4):498-509. This study evaluated the efficacy of a multifactor behavior intervention consisting of stimulus control (sleep hygiene) and relaxation-response training compared to stimulus control alone for sleep–onset insomnia. A 77% improvement was seen with mean sleep–onset latency compared to the stimulus control group (63%). Thus a multifactor intervention with the Relaxation Response may be more effective than sleep hygiene alone for treatment of sleep–onset insomnia. 4. Davidson, et al., (2003). Alterations in brain and immune function produced by mindfulness mediation. Psychosomatic Medicine, 65: 564-570. The authors conducted a randomized, controlled study using a mindfulness meditation training program in a work environment. Findings demonstrated significant positive effects on brain and immune function with the use of meditation as compared to a wait-listed group. 5. Rosenzweig, S., et al. (2010). Mindfulness-based stress reduction for chronic pain conditions: Variation in treatment outcomes and role of home meditation practice. Journal of Psychosomatic Research, 68: 29-36. This study investigated changes in bodily pain, health-related quality of life, and psychological symptoms of participants with various chronic pain conditions during a mindfulness-based stress reduction program. Treatment effects varied depending on type of chronic pain condition and compliance with the home meditation program. 6. Zaichkowsky LD. Kamen R. (1978). Biofeedback and meditation: effects on muscle tension and locus of control. Percept Mot Skills. Jun;46(3 Pt 1):955-8. A relaxation experiment to determine whether frontalis muscle EMG biofeedback, Transcendental Meditation, and meditation (Benson technique) produced decreased muscle tension and concomitant changes in locus of control. All three treatments resulted in significant decreases in frontalis muscle tension when compared to a control. Concomitant changes towards an internal locus of control occurred only in the subjects given biofeedback. Landry JM. (2013). Physiological and Psychological Effects of a Himalayan Singing Bowl in Meditation Practice: A Quantitative Analysis. American Journal of Health Promotion, August 2013. This study evaluated the physiological and psychological effects of using Himalayan singing bowls in relaxation sessions within a community-based counseling practice. Results demonstrated that blood pressure and heart rate improved with the use of Himalayan singing bowls. 2. Yogitha B, Nagarathna R, John E, Nagendra H. (2010). Complementary effect of yogic sound resonance relaxation technique in patients with common neck pain. Int J Yoga, 3(1):18-25. This randomized controlled study examined the complementary role of yogic relaxation called mind sound resonance technique (MSRT) in non-surgical management of chronic neck pain. Results demonstrated significant benefits to conventional physical therapy by reducing pain, tenderness, disability and anxiety, in addition to improving flexibility. 3. Peng SM, Koo M, Yu ZR. (2009). Effects of music and essential oil inhalation on cardiac autonomic balance in healthy individuals. J Altern Complement Med, 15(1):53-7. This study investigated the effect of listening to soft music or inhaling citrus bergamia aroma on autonomic nervous system activity in young healthy individuals. Results indicated a shift toward parasympathetic activity when listening to soft music and inhaling citrus bergamia essential oil. 1. MacEwan, G. (2013). Massage therapy for essential tremor: quieting the mind. Journal of Bodywork and Movement Therapies, 10: 17(4): 488-494. This is a case study involving a 63 year old female with essential tremors. Essential tremor is a neurological disorder causing rhythmical shaking of part of the body that can be observed when performing simple motor skills or activities of daily living. She received 5 consecutive weekly sessions of massage techniques including Swedish massage, hydrotherapy, myofascial release, diaphragmatic breathing, remedial exercise education and affirmative symptom management recommendations. Tremor intensity decreased after each session, fine motor skills increased, and functional cervical range increased. 2. Castro-Sanchez, A., Mataran-Penarrocha, G., Arroyo-Morales, M. (2011). Effects of myofascial release techniques on pain, physical function, and postural stability in patients with fibromyalgia: a randomized controlled trial. Clinical Rehabilitation, 9: 25(9): 800-813. This study looked at the effect of myofascial release techniques on pain symptoms, postural stability and physical function in fibromyalgia syndrome. 86 participants were randomized into an experimental (myofascial release modalities) or placebo group (sham short-wave and ultrasound electrotherapy). Results suggest myofascial release techniques can be complementary for pain symptoms, physical function and clinical severity but did not improve postural stability. The American Occupational Therapy Association (AOTA) Representative Assembly adopted a statement on obesity in 2006. AOTA endorsed OT intervention as a way to meet the needs of children and adolescents who are or are at risk for overweight status or obesity. This article explores the contextual factors that influence health of children in urban environments. Recommendations are offered for intervention, which includes working with families and school systems and introducing children to advocacy opportunities. This study reports outcomes of a Medicare-sponsored demonstration of two intensive lifestyle modification programs (LMPs) in patients with symptomatic coronary heart disease: the Cardiac Wellness Program of the Benson-Henry Mind Body Institute (MBMI) and the Dr. Dean Ornish Program for Reversing Heart Disease® (Ornish). Intensive, year-long LMPs reduced hospitalization rates and suggest reduced Medicare costs in elderly beneficiaries with symptomatic coronary heart disease. This systematic review examined the evidence base (1990–2014) for yoga interventions addressing anxiety among children and adolescents (ages 3–18 yr) identified 2,147 references and found 80 articles that were eligible for full-text review. The final analysis included 16: 6 randomized controlled trials, 2 nonrandomized preintervention–postintervention control-group designs, 7 uncontrolled preintervention–postintervention studies, and 1 case study. Nearly all studies indicated reduced anxiety after yoga intervention. 2. Sherman, K.J., et. al. (2011). A Randomized Trial Comparing Yoga, Stretching, and a Self-care Book for Chronic Low Back Pain. Archives of Internal Medicine, 12, 171(22): 2019-2026. This study on yoga shows that yoga classes improve function and reduce symptoms due to low back pain; the benefits can last for several months. 3. Bijlani, R., et al. (2005). A brief but comprehensive lifestyle education program based on yoga reduces risk factors for cardiovascular disease and diabetes mellitus. The Journal of Alternative and Complementary Medicine, 11, 267-274. This study looked at the effects of short-term (10 day) intervention on cardiovascular disease and diabetes mellitus. Intervention included postures, breathing exercises, relaxation techniques, group support, individualized advice, lectures and films on the philosophy of yoga and the place of yoga in daily life, meditation, stress management, nutrition, and knowledge about the illness. Results showed favorable metabolic effects in a short time frame. 4. Duraiswamy, G., et al. (2007). Yoga therapy as an add-on treatment in the management of patients with schizophrenia – a randomized controlled trial. Acta Psychiatrica Scandinavica, 116(3), 226-232. This article randomly assigned moderately ill people with schizophrenia to a yoga therapy or physical therapy group for four months as an add-on treatment to ongoing antipsychotic treatment. Both interventions helped reduce symptoms, however, participants in the yoga group had significantly less psychopathology, significantly greater social and occupational functioning, and increased quality of life. 5. Smith, K., and Pukall, C. (2008). An evidence-based review of yoga as a complementary intervention for patients with cancer. 18(5), 465-475. The authors completed a systematic review of literature to determine the impact of yoga on psychological adjustment among cancer patients. Some positive results were noted, however, further research is needed due to variability across studies and methodological drawbacks. Van Puymbroeck, M., Schmid, A.A., Walter, A.A., and Hawkins, B.L. (2017). Improving leisure constraints in older adults with a fear of falling through Hatha Yoga: An acceptability and feasibility study. International Journal of Gerontology & Geriatric Research, 1(1), 007-013. Waddington, E.A., Fuller Rogers, R.K., Barloon, R.C.K., Comiskey, G.H., Portz, J.D., Holmquist-Johnson, H. & Schmid, A.A. (2017). Staff perspectives regarding the implementation of a yogaintervention with chronic pain self-management in a clinical setting. Complementary Therapies in Clinical Practice. 26, 12-20. Schmid, A.A. Willis, L.A., Miller, K.K., Van Puymbroeck, M., Williams, L.S. (2016). Yoga improves multiple quality of life domains for people with chronic stroke. Jacobs Journal of Yoga and Natural Medicine, 1(1):001, 1-6. Phillips, C.E., Willis, L.A., Van Puymbroeck, M., Tracy, B.L., Sample, P.L., Schmid, A.A. (2016). Yoga improves functional gait and health-related quality of life for adults with diabetic peripheral neuropathy: A pilot study. Jacobs Journal of Yoga and Natural Medicine, 1(1):002, 1-8. Schmid, A.A., Van Puymbroeck, M., Portz, J.D., Atler, K.E., & Fruhauf, C.A. (2016) Merging yogaand occupational therapy (MY-OT): A feasibility and pilot study. Complementary Therapies in Medicine, 28, 44-49. Schmid, A.A., Miller, K.K. *, Van Puymbroeck, M., Schalk, N. (2016). Feasibility and results of a case study of yoga to improve physical functioning in people with chronic traumatic brain injury. Disability and Rehabilitation, 38(9), 914-920. Schmid AA, DeBaun-Sprague E*, Gilles AM*, Maguire JM*, Mueller AL*, Miller KK*, Van Puymbroeck M, & Schalk N. (2015). Yoga influences recovery during inpatient rehabilitation, a pilot study. International Journal of Yoga Therapy, 25(1), 141-152. Van Puymbroeck, M., Miller, K.K., Dickes, L.A., Schmid, A.A. (2015). Perceptions of yoga therapy embedded in two inpatient rehabilitation hospitals: Agency perspectives. Evidence-based Complementary and Alternative Medicine (e-CAM), 2015, , doi:10.1155/2015/125969. Van Puymbroeck, M., Allsop, J., Miller, K.K., & Schmid, A.A. (2015). ICF- based improvements in body structures and function, and activity and participation in chronic stroke following a yoga-based intervention. American Journal of Recreation Therapy, 13(3), 23-33. Schmid AA, Miller KK*, Van Puymbroeck M, DeBaun-Sprague E*. (2014). Yoga leads to multiple physical improvements after stroke. Complementary Therapies in Medicine, 22(6), 994-1000. Van Puymbroeck M, Schmid AA, Shinew K, Hsieh PC. (2011). Influence of hatha yoga on the physical fitness, physical activity constraints, and body image of breast cancer survivors: A pilot study. International Journal of Yoga Therapy, 21, 49-60. Van Puymbroeck M, Smith R, Schmid AA. (2011). Yoga as a means to negotiate physical activity constraints in middle-aged and older adults. International Journal on Disability and Human Development, 10(2), 117-21. Schmid AA, Van Puymbroeck M, Koceja D. (2010). Effect of a 12-week yoga intervention on fear of falling and balance in older adults: A pilot study. Archives of Physical Medicine and Rehabilitation, 91, 576-583. Schmid AA, Damush TM, Plue L, Subramanian U, Bakas T, Williams LS. (2009). Current blood pressure self-management: A qualitative study. Rehabilitation Nursing, 34(6), 223-9.